Mr Boakye Agyarko, the Minister of Energy, Wednesday reiterated Government’s commitment to reforming the country’s power sector to meet the exponential demands from industry, businesses and households. He said there had been attempts by the successive governments to bring the needed transformation under the Ghana Power Compact, otherwise known as the Millennium Challenge Account Programme, intended to stimulate private investment and create financially viable power sector to reduce poverty. He said the reforms being implemented under the Compact Two Programme, together with Government actions, hold the key to arresting permanently the country’s perennial power crisis. Mr Agyarko made the remarks at the inauguration of the Electricity Company of Ghana (ECG) Private Sector Participation (PSP) Stakeholder Committee in Accra. The seven-member committee comprising representatives from governmental institutions, private sector and civil society organisations, was entrusted with the responsibility of reviewing, at the request of the board of the Millennium Development Authority, specific reports, agreements and documents related to the implementation of the Compact. It would also provide advice and useful inputs on the decision-making process on various aspects of the ECG PSP activity and bring greater understanding among Ghanaians regarding the implementation of the Compact. 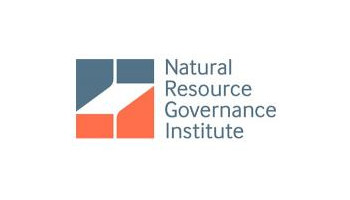 Members of the Committee included Mrs Majorie Adbin of the Private Enterprise Foundation, Mr Ernest Afriyie Asare, the Energy Foundation; Michael Adumatta Nyantakyi, the Public Utilities Workers Union; and Mr Ben Boakye, the Africa Centre for Energy Policy. Others are Mr Albert Sam, the Ghana Journalists Association; Mr Samuel Richard Ziggah, the National Association of Local Government Authority; and Mr Kofi Bentil, the IMANI Centre for Policy and Education. The Energy Minister said Government, last week, announced its position regarding the structure of the concession arrangements under the Compact Programme after it had considered the sentiments of the various stakeholders and the interest of the country with the ultimate goal of turning around the financial and operational fortunes of the ECG. The Minister said he had launched the Capacity Scan (CapScan) Activity which falls under the Regulatory Strengthening and Capacity Building of the Compact Two Programme, aimed at improving the regulatory and policy environment of the power sector. 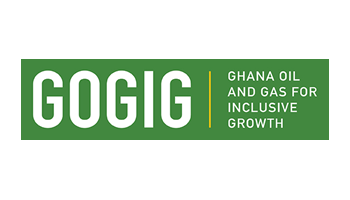 Mr Agyarko, in a separate interview with the media, disclosed that from May 23, it would commence bidders’ conference to consider various entities interested in holding shares in the ECG concession since a minimum of 51 percent of Ghanaian entities must be shareholders in the deal. 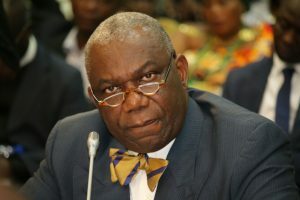 He said Ghanaian entities must contribute up to a minimum of 51 percent of financial resources in the ECG concession, while 100 million dollars would be given to the country every year from the Millennium Challenge Account, saying it implied that Ghanaian entities must provide 50 million dollars every year for the next five years as part of the Compact Agreement. 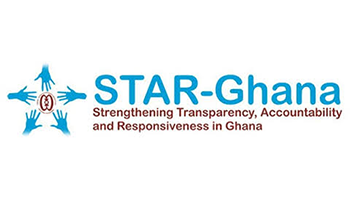 The Minister said the Compact Two Programme would expire in 2021, therefore, Ghana must undertake certain activities that would enable it to access the grant within the specified period because failure to meet the deadline would mean that $190 million dollars of the grant would be returned to the US government treasury. Meanwhile, Mr Agyarko allayed the fears of the public that the concessioner that would take-over the operations of the ECG would lay-off workers, saying it would be a private sector participation and not total privatisation of the ECG, therefore, there would be no involuntary loss of jobs. He said the assets of the ECG would be leased to the concessioner to use after which they would be returned to the government. However, he said, the concessioner was required to invest additional US$500 million dollars upgrading those assets in order to operate effectively and efficiently. 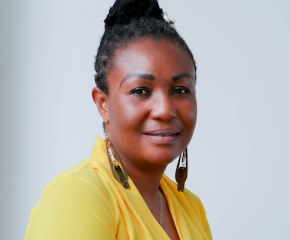 Professor Yaa Ntiamoa-Baidu, the Board Chairperson of the Millennium Development Authority, who administered the Oath of Secrecy to the Committee Members, said in order to attain the best outcome for the people of Ghana, it was important to engage all key stakeholders in the ECG PSP process to ensure greater understanding and transparency. She, therefore, tasked the Committee to work diligently and always seek the best interest of the citizenry. Mr Kofi Bentil of the IMANI Centre for Policy and Education, a Member of the Committee, on behalf of his colleagues, said it would work diligently to ensure that the right thing was done for the good of the people of Ghana.